Looking to support small business in the area? We’ve put together this guide to shopping local near Westchester County, NY. Check it out to learn more about all the cool spots in our area, with some hidden gems included. Looking for that special gift for a birthday or holiday? How about some accessories to make any outfit stand out? Bella’s Boutique is the place to go. Away from all the hustle and bustle of New York City, Bella’s has a range of affordable gifts, including handcrafted items from local designers. From everything for a baby’s arrival to a friend’s birthday, you’ll find the right gift for that special person. Handmade items include cotton aprons, ceramic bowls, and crocheted sweaters. The unique jewelry collection includes leather bracelets, dressier items, and jewelry from local designers. Need accessories? 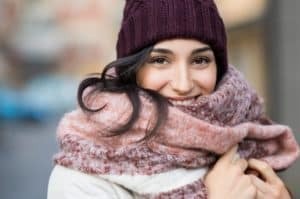 Shop scarves, hats, gloves, and handbags for all seasons. Westchester’s premier stop for household furniture and collectibles is Chatsworth. Occupying a 5,000-sq. ft. warehouse on Ogden Ave. in Mamaroneck, Chatsworth buys and sells name-brand furnishings along with antiques and collectibles. The shop is open six days a week, while the accompanying eBay store can be accessed 24 hours a day. All merchandise comes directly from the homes of sellers. The inventory is always changing, but items found here range from bedroom dressers to console tables to dining room chairs and love seats. Chatsworth also accepts pieces for consignment, particularly if you own a rare or custom-made piece. 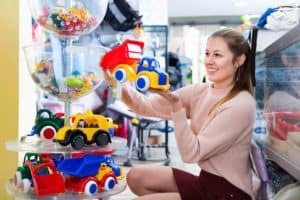 Since 2008, A Nu Toy Store has offered unique, affordable, and fun toys to those in the Tarrytown area. They pride themselves on having a large inventory of toys for your child. Discover a variety of vintage toys, including rare items like Star Wars figurines from the 1970s. It’s a great place to go for vintage toy collectors. The new and used toys are great for kids of all ages, from newborn and up. Brands include Lego, Melissa & Doug, Webkinz, and Green Toys. New items can be found below retail, and used (but never opened) items can be found well below retail. We hope you’ve enjoyed this guide to shopping local near Westchester County. Now get out there and support small businesses in our area and shop local!